Originally posted: March 10, 2018 . Last modified: September 14, 2018 . 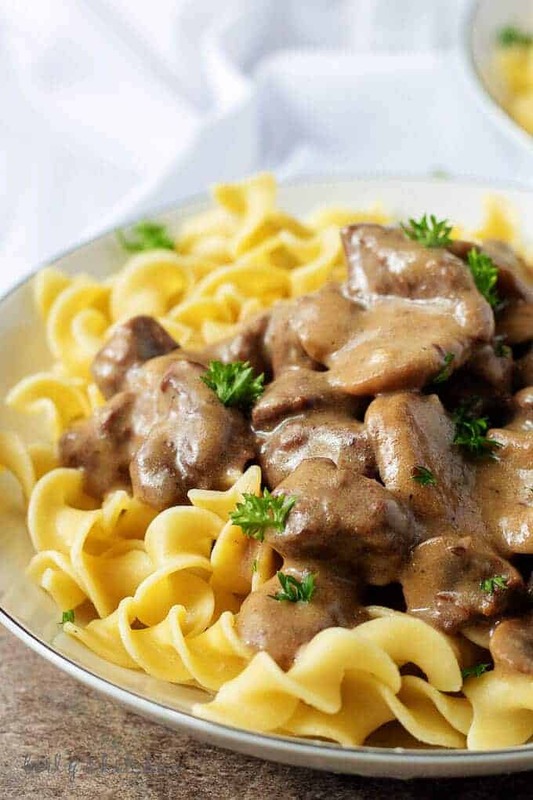 This Easy Beef Stroganoff Recipe is a warm and hearty dish filled with tender pieces of steak covered in a creamy, mushroom gravy layered over a bed of egg noodles. 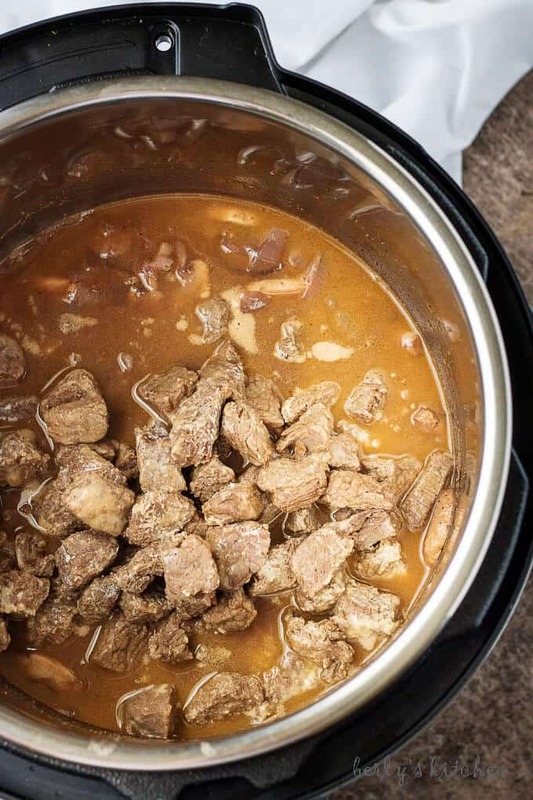 Use the Instant Pot for a quick version of beef stroganoff that takes less time than cooking it on the stove top. See my tips later in the post, and you’ll never have broken sour cream! A while back, we purchased an Instant Pot. 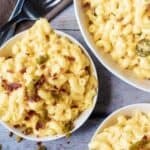 Our mac and cheese and spinach dip recipes were the first we’ve shared in regards to Instant Pot recipes. This easy beef stroganoff recipe is the third. If you’ve never used an Instant Pot, there’s a bit of a learning curve. Some recipes are incredibly easy while others take a bit of practice. However, after you’ve gotten the hang of it, the possibilities are endless! After making the mac and cheese, spinach dip, eggs, rice, and a couple of failed dishes, we decided to give beef stroganoff a try. I asked John if there was anything he’d like to try and stroganoff was the first thing he mentioned. I shouldn’t have been surprised. He loves food that has meat and gravy over some kind of noodles or potatoes. Chicken paprikash is one of his favorites, and this stroganoff seems to follow a similar style. This dish is easy to make and requires very little technique. It is a longer Instant Pot recipe simply because of the need to saute the steak, mushrooms, and onions. After that step, everything comes together in no time. Toss the sirloin with salt, pepper, garlic powder, onion powder, and paprika. Turn the Instant Pot to the saute function and add the olive oil and sirloin. Sear the meat on all sides, and add the mushrooms, onions, and butter. Saute until the vegetables are beginning to soften, then add the butter. Next, add the garlic and continue to saute for an additional 30 seconds. Remove the meat and vegetables from the Instant Pot, and toss with flour to coat. Pour the red wine into the Instant Pot to deglaze the bottom by scraping off any pieces of meat that may have stuck. It’s best to use a wooden spoon! In a small bowl or mixing cup, whisk together the Worcestershire sauce, Dijon mustard, and beef broth. Add the flour coated beef and broth mixture to the Instant Pot. Cook on high pressure for 13 minutes. While the sirloin cooks, mix the cornstarch and water to make a slurry. Set aside, you’ll need it later. Allow the Instant Pot to natural release for 10 minutes before completing a quick release. Add the sour cream, and stir to combine. Next, add the cornstarch slurry, and stir to combine. Don’t overcook the meat, or it will become tough. Just barely sear it on all sides. Add a small spoonful of the heated beef sauce/gravy (after the pressure release) to the sour cream. Stir it to combine. Continue adding small amounts, a little at a time, to bring the sour cream up to the same temperature as the sauce. This is called tempering. 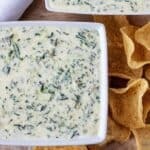 It will keep the fats in the sour cream from separating and breaking. Make sure to deglaze the pan well; otherwise, you may get a “burn” warning. Not a fan of wine? Replace it with equal parts of beef broth. Make this dish gluten-free by using gluten-free noodles and a gluten-free flour blend. Are you still on the fence about purchasing an Instant Pot? Here’s the exact model we bought. It’s a 6-quart which feeds a family of 3-4 easily. Plus, it has the yogurt option! 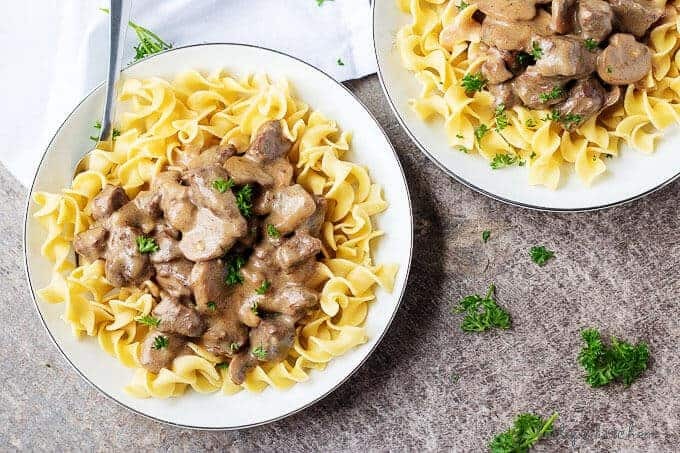 If you like this Instant Pot Easy Beef Stroganoff recipe, please leave us a comment and rate the recipe card. You can also find us on Facebook, Pinterest, Twitter and Instagram searching for Berly’s Kitchen! 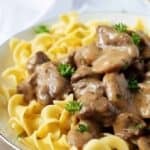 This Easy Beef Stroganoff Recipe is a warm and hearty dish filled with tender pieces of steak covered in a creamy, mushroom gravy layered over a bed of egg noodles. 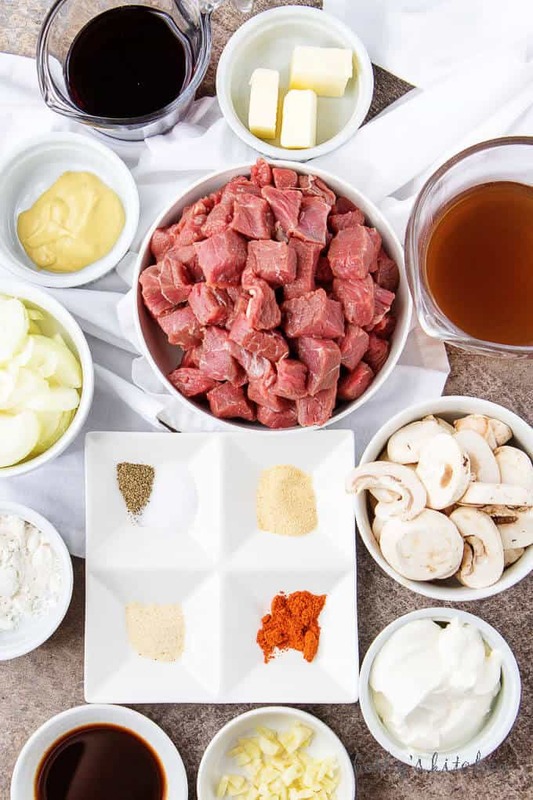 Use the Instant Pot for a quick version of beef stroganoff that takes less time than cooking it on the stove top. In a large bowl, mix sirloin, salt, pepper, garlic powder, onion powder, paprika. Toss to coat. Turn Instant Pot to "saute," and add olive oil and sirloin. Sear sirloin on all sides until just barely browned. Add the mushrooms, onions, and butter. Continue to saute until the mushrooms and onions begin to soften. Add the garlic and saute for about 30 more seconds. Remove the meat, mushrooms, and onions from the Instant Pot, and place in a large bowl. Toss with flour to coat. Use the wine to deglaze the Instant Pot. In a small bowl or mixing cup, combine the Worcestershire Sauce, Dijon mustard, and beef broth. Add the mixture to the Instant Pot along with the sirloin and mushroom mixture. Close the Instant Pot, and set to cook on high pressure for 13 minutes. Meanwhile, make the cornstarch slurry by mixing the cornstarch with 3-4 tablespoons of water. This is also a good time to prepare the noodles or mashed potatoes. After the beef stroganoff cooks for 13 minutes, allow it to complete a natural release for 10 minutes before opening the steam valve for the quick release. Remove the lid and add the sour cream (see tips above for tempering). Stir to combine. Add the cornstarch slurry, and stir to combine. Garnish with parsley and serve immediately over noodles or mashed potatoes. Store any leftovers in the refrigerator for 2-3 days in an airtight container. *This dish is best served immediately. If reheating, it is best done on the stove top over low-medium heat. Looks delicious,going to try very soon . thanks for your help,, love this dish. I wasn’t looking for something yummy make in my new Instant Pot and this is it!!! I’m stoked to try it! I made this tonight and OMG!! So good!! This recipe is awesome. The whole family really loved it. Thank you for sharing. Oh first time to use my instant pot. Can you do PIP for the noodles? Delicious! Served it over mashed cauliflower. Your recipe is going into the repeat file! I was well into prep before I realized I was out of flour and sour cream. I substituted Fage 5% yogurt for sour cream and arrow root flour for the regular flour. The arrow root made it thick enough to omit the corn starch slurry. We had this for dinner last night. It was delicious! The sauce had really good flavor. We like a creamy sauce, so we added more sour cream. I will definitely make this again! Thank you, Deidra! We are glad you enjoyed the stroganoff and hope you have a lovely day 🙂 Thank you again for coming back to comment and rate the recipe!